Spring is in the air! For many that means it’s time for some serious deep spring cleaning. You may have started taking note of the products you use for cleaning and the impact they have on your home, your family, your pets and the planet. These green spring cleaning tips for your apartment will let you clean without worrying about your wallet, your family, or the planet. Lemons are ideal for a variety of tough cleaning projects in your apartment. From tackling microwave messes to deodorizing your refrigerator and adding grease-fighting strength to your dishwashing liquid, lemon juice is a powerful cleaning component. Need a little abrasive power for tough stains? Lemon and salt create an excellent scrub, which is great for cleaning burnt lasagna pans and other hard-to-clean messes. It’s also perfect for cleaning copper pots and pans, though not lacquered copper. Be careful when using abrasives to ensure that you don't damage surfaces. 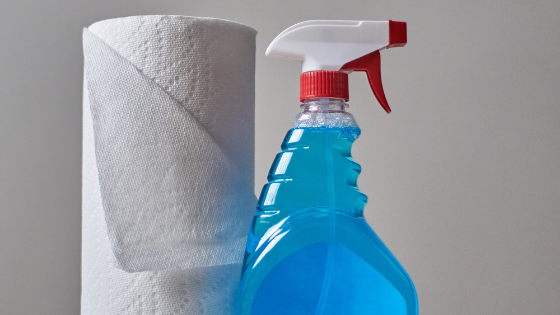 Vinegar makes an excellent all-purpose cleaner. You can use it in a spray bottle for washing windows or cleaning around your bathtub to prevent or eliminate mold growth, or you can use vinegar instead of an artificial rinse agent in your dishwasher. You can even use it as a fabric softener and deodorizer in your laundry. Just put it in your rinse agent ball or pour it into your machine's “fabric softener” spot. Baking soda is an excellent choice for freshening the air in your home and for cleaning its many surfaces. Many people use it in refrigerators to eliminate food odors. Did you know you can also use it to get odors out of carpets? Add a couple of tablespoons to your dishwater to tackle tough grease on your dishes. Use it with vinegar to tackle moldy messes in the bathroom, and add it to your laundry detergent to brighten colors and whiten whites in your wash.
Green spring cleaning tips like these can help you transform apartments in Mountlake Terrace into an oasis of spring and green for friends and family alike. Be sure to contact us today to see which floor plans are available.